2012 was a wonderful amazing year and so many fantastic things happened in my life this year, too many to count even. I'm thankful for my family my friends and my fave who made my year so memorable. Thankful for all the amazing people who read ThirdWorldProfashional, connect with me, comment, send me emails.....you guys have no idea how much you encourage and support me. Much love. To all the amazing brands that have collaborated with ThirdWorldProfashional; Virgos Lounge, Obsidian, Wana Sambo, The Pearl Shop, Things Nigerians Love, O'Eclat, Frockit Rockit, Jumia.com, Aesthetics Cosmetics. For the features by Chaud Magazine, Cultural Toast, Bella Naija, Yeoals Blogazine, One Nigerian Boy, Neks 2 U, Madam Wokie, MDevaan, Amerie Style, Urban Royale Magazine.....too many mention. Thank you for believing in me and my little corner of the internet. For the new additions to my family, we are so excited to expand our pack and welcome all of you. 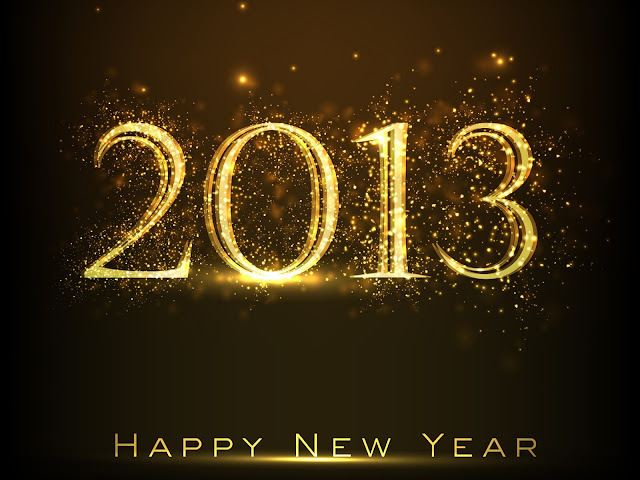 I'm so excited for 2013, the changes that are coming, the new experiences.....too excited! Happy new year to you and yours, God bless you for being a part of my journey, my growth and here's to bigger and better things in the year to come. Wore this out to two events on Saturday; a wedding and my company's Womens Network year end do. Horror of horrors, I forgot my camera so I only have these pictures I took just before I left home. Virgos Lounge Amber blouse in Mustard; ASOS sequined pencil skirt, Zara ankle strap pumps. Oh yeah, shey you see I took you guys advice, I think I'm going to keep my natural hair out a bit longer. the breakage is hurting my heart but I'm still loving the look. This past weekend was HECTIC, onwa December e ru go and so far it has being live. I had a sneak peek when I made the grave error of going to Sip the first weekend of December, it gave me 11.45 flashbacks when people used to actually bleed trying to get in. I was in and out in 5 minutes straight. Packed, sweaty clubbing is not my idea of fun. Anyway this weekend I had like eight events to attend between Saturday and Sunday, in addition to working my other job as a personal shopper (yeah I do that too, get at me) on Saturday, I still had to make weddings and other sundry events. Managed to get to just five I think, body no be wood. On Sunday I attended the Pamper Me Pretty event which was awesome, pictures from it should be on the blog soon, for now be content with pictures of just me s'il vous plait. The gladiator in a dress title isn't in reference to Miss Pope and her crew by the way but in reference to the fact that my dad said I looked like a gladiator when he saw my dress and ear-cuff. This dress and several others I have is the reason why I'm averse to spending tons of money on clothes. I've had this dress for about 18 months now and this is only the 2nd time I'm wearing it, unlike bags and shoes that I can use over and over again therefore actually getting value for money spent. I shudder at the thought of buying an expensive AF dress and only ever wearing it one time. More pictures from the Pamper Me Pretty event coming soon. EJIRO AMOS TAFIRI hosts Fashion House Party for it recently launched diffusion Line DEAT “as a unique retail and shopping experience to fashion lovers on a BUDGET. 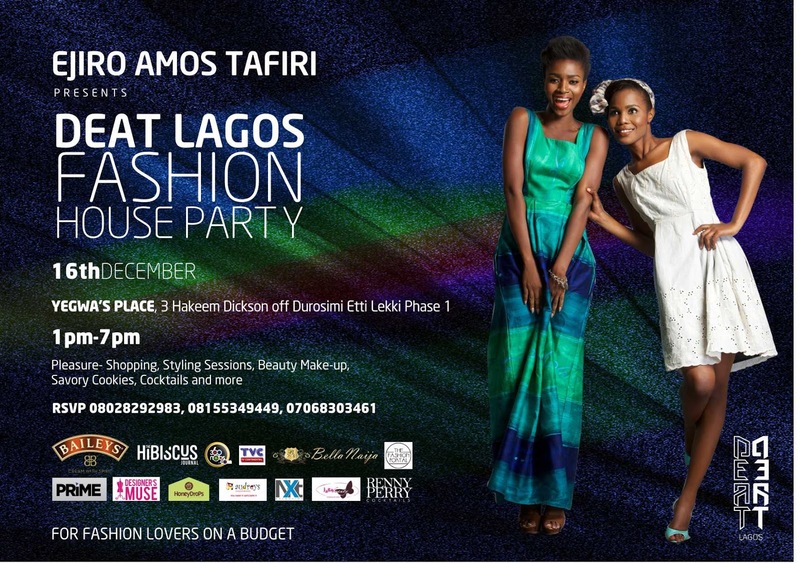 DEAT Lagos Fashion House Party will bring people from all walks of life together under one space for a day of fun, networking, fashion and of course shopping of your favourite DEAT And Ejiro Amos Tafiri pieces, not leaving the guys out, DEAT will be offering a capsule line of separates for the male folks at the event. Venue is Yegwa's Place, 3 Hakeem Dickson Street, off Durosimi -Etti (near Central mosque), Lekki Phase 1, on Sunday, December 16th, 2012 from 1pm till 7pm. The duo designers’ Ejiro Amos-Tafiri and Diana Ubah cordially invite our friends and associates, fashionistas, socialites and celebrities to culminate for an afternoon of guilty pleasures-playing dress up, shopping, beauty, make-up, savory cookies and cocktails. The event is proudly supported by Baileys, Fashion portal, Honey drops, Jaga beauty, TVC, Bellanaija, 360nobs, Designers muse and a host of others. Bottles is a Mexican restaurant situated in Victoria Island, Lagos. Apparently its being around for about 10 years but I'd only just heard of it and went down there last Friday for a friends birthday. As described on their website "Bottles gets it's name from the bottles strewn around the restaurant.... Green Gin bottles, emptied by drunken sailors and traders and thrown into the oily waters of the Delta. Years later these Bottles have been retrieved and collected as artifacts...... Giving rise to the theme of Bottles Restaurant." Yeah well, sidest of eyes to that, I didn't see any bottles on the floor, probably safer anyway. Alright lets get in to it, first of all...NO SIGNS!! There was absolutely nothing to indicate this place was a culinary establishment of any sort, if not for the crush of cars parked outside I wouldn't have known anything was happening there. Luckily I know the surrounding area pretty well so it wasn't very difficult for me to find it but please, for the love of God, a well placed sign would not hurt, really. Below is a photo of the front door, I'm guessing they were going for a Mexican/African rustic vibe, maybe aping the outdoor of an Inca hut, who knows. It was cute, though a bit contrived. Outside the restaurant is the usual table heaped with overpriced African touristy art, jewelry etc; this is obviously geared towards the expat community because you could pick these up for way less at the beach. The decor within was very bright, think Betty Suarez's huse in Ugly Betty. Enough colours to make a Dulux exec swoon. contrary to my somber, gloomy, vampiric nature I'm very fond of colour. I LOVED this mural at the end of the room, the streets of Cuernevaca perhaps? I almost expected exotic women with flashing dark eyes and kerchiefs tied around their heads, doing the salsa to apparate into the room. The visual was that strong. See what I said about the colours? You could use this room to teach a toddler his entire spectrum of primary and secondary colours. The bar was cute, with the sombreros hung around the top. There was a live band too. I didn't stay till late but apparently around 10-ish it gets super lively, singers weaving around the room, the band belting out their cucarachas. Wish I could have stayed for that, will definitely try to get there later another time. I put the menus here so you guys can ruin your eyes trying to read what's on it so you can all get glasses. Everybody looks better in glasses, non? I'd heard about their frozen margaritas, apparently they're famous for it. I'm not much of a drinker myself and would always take a bottle of Maltina over the best glass of wine anyday but I had a few alchys with me who sang the praises of the frozen strawberry margaritas to high heavens. I thought it was a bit bitter but maybe that's how they're supposed to taste, how do I know. Everyone gets complimentary nachos and salsa, not spicy enough for me, but then again nothing ever is. It tasted good though. I ordered prawns and chips (yes I like my prawns) which honestly wasn't very nice. Prawns are pretty easy to cook and I was a bit taken aback that they could be screwed up. It wasn't "spit out on the floor you're trying to poison me" bad, but I didn't like it, and I know my prawns. One of my friends had enchiladas which although looked like heart disease on a plate apparently tasted beyond amazing, she literally mopped her plate up. Ambience - Top marks, they were going for a warm, convivial atmosphere and they nailed it. The decor alone makes one happy, you can't be in a room that looks like an explosion in a Mexican paint factory and be upset. Plus the music was so jolly you're literally wreathed in smiles throughout. Not a place for a romantic dinner though, people are shouty and cheery and drunk as skunks in there, no way you can wear your heart on your sleeve or propose at Bottles. I'd give it 5 out of 5 stars for ambience. Drinks - I can't personally rate it but an overwhelming majority swear by their frozen maragaritas so I guess it must be good. Food - My prawns were nasty, I'd give them a 0.5 based on my dish alone but everyone else loved their food so I guess there must be something good there. Don't go by my restricted palate, I'm a picky eater. Plus they serve a pretty standard Tex-Mex fare of Fajitas, Taquita, Flautas, Tostadas, Tacos, Tequila Prawns *raised eyebrow*, Quesadillas, Burritos, Chimichangas etc. So if that's your thing, go get you some. 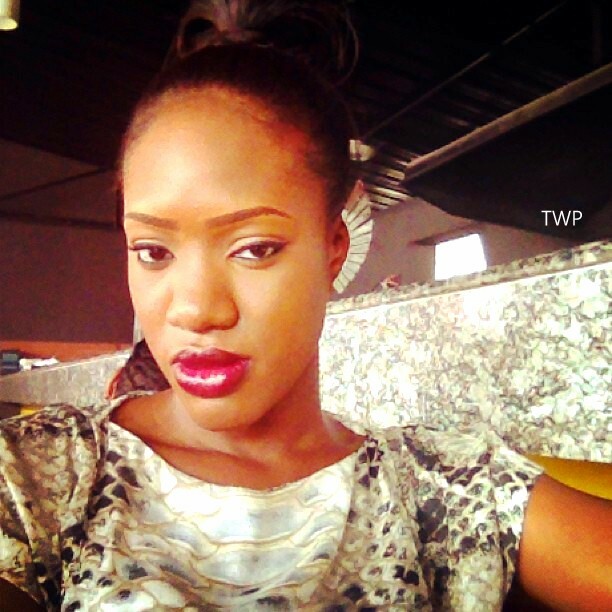 Price - Everything in Lagos is so overpriced that some prices which would be scandalous abroad seem almost affordable. So I won't compare the Bottles prices with restaurants outside the country. Appetizers are no more than N2,500, steaks cost between N3,000 to N6,000, burgers are not more than N3,200 and the most expensive dish there is the Surf & Turf combo which goes for N6,200. Not bad in my estimation. All in all it has a very jolly atmosphere and is a great place to let your hair down and get a couple of drinks in before you kick of your night proper. Bottles is at 8 Imam Agusta close off Olosa street off Karimu Kotun street which is off Akin Adesola street (trust me you need these directions) Victoria Island, Lagos. I forgot the best bit! On Tuesday nights they have an event called Texas Tuesdays where you can get unlimited wings and beer for just N4,500. Now if you were me you'd have mentally discounted the beer bit and focused on the wings bit and gone unlimited wings???? Yes, unlimited, all night. All for just N4,500. Will def be there next Tuesday and if you see me there don't be shy to say hi..or high...who the heck knows what Tonto was trying to say. 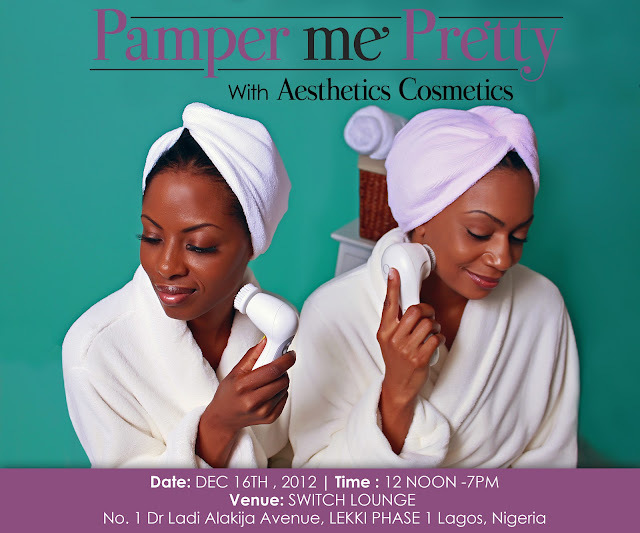 Ladies, ring the alarm as “PAMPER ME PRETTY”, the highly anticipated SPA BEAUTY & WELLNESS DAY brought to you by AESTHETICS COSMETICS is set to be held on DEC 16th, 2012 from 12NOON-7PM at SWITCH LOUNGE located at #1 Dr Ladi Alakija Ave Lekki Phase 1 Lagos, Nigeria. The Pamper Me Pretty event has been carefully designed to celebrate women of all ages in the Nigerian community by providing largely discounted spa beauty services in a relaxing environment which will guarantee the ultimate pampering experience. Spa beauty services provided at the event will include express spa facials, manicures, pedicures and makeovers starting at a low discount rate of 2500 NAIRA ONLY! Gbemisola Ogunyomi CEO of Aesthetics Cosmetics will be present at the event providing FREE workshops on skin care, hair care and total body wellness. Ladies will also have the chance to shop for discounted luxury beauty and spa products from The AESTHETICS COSMETICS Redwine, Blue Berries and Omega3-Hemp Spa Skin & Hair Care collection in addition to their highly pigmented makeup beauty products. Other beauty vendors at the event will include Lo ’LAVITA Glamour Hair, ANGEL MINARO Luxury Spa beauty products by ROSEBUDNG, M.A.C cosmetics beauty products by MY MAKEUP, bold statement jewelry pieces by LOYATOBS ,gorgeous lashes by BLINX LASHES, costume jewelry by LA-FTK and so much more. Some of the guest appearances for this event will include the amazing radio hosts Gbemi of 99.9 THE BEAT FM and Kaylah of 96.9 COOL FM. Tune in to 96.9 COOL FM’s CATWALK with KAYLAH on Thursday Dec 13th and on Friday Dec 14th for one on one interviews, beauty advice and awesome product giveaways with the CEO of Aesthetics Cosmetics. Pro-fashional Fashion Stylist and blogger Adaku Ufere of Thirdworldprofashional.com will be present at the event giving women insight on what’s hot and what’s not for this holiday season. The amazing songstress Gloria Maduka (www.gloriamaduka.com) will be performing a solo track from her upcoming debut album. Ladies, You don’t want to miss out on this amazing event! If you will like to be a vendor please contact us immediately at contact@aestheticsbeautyshop.com and ene@verbanaservicing.com. 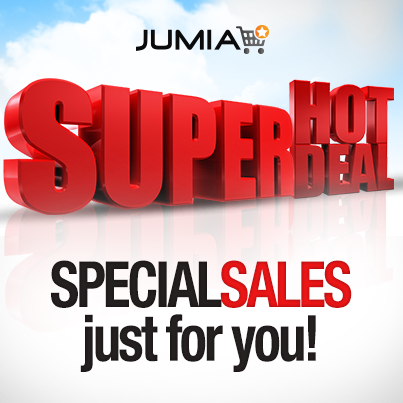 RETAIL VENDOR BOOTHS ARE AVAILABLE FOR A DISCOUNTED RATE OF 15,000 NAIRA ONLY. For more information on this event please log on to their website at www.aestheticsbeautyshop.com and follow them on Twitter at @AestheticsCo and @Pamperme2012. Consider this a tip (I really hate to say this, I hate this phrase but it seems so apt here) of life. Dorothy Perkins does the best work dresses ever. I ransacked DP when I was moving back for work dresses and it gave me everything I needed and more. Dorothy Perkins can look a bit mumsy on the surface but it conceals some fly AF corporate clothes. Dresses that are business like but still dope and fit like a glove. That store is a gem. Stole my mums Alma off her because I love the bag to death, I'm still mad that I never bought one myself, but its understandable. For about 2 years, between 2008 to 2010, the LV Alma was like the Zara tote of 2011. Errrrbody and their mama, grandma and nanny had one in descending order from real to so fake you want to slap the person carrying it. It wasn't till I drove past Ikeja market and saw "Alma's" in varying size and colour that I knew we had a problem. Luckily the stampede seems to have died down so I think its safe to bring yours out (real ones for the love of God) and glory in its shiny, cavernous beauty. The Prada Saffiano and the Celine Boston bag have the tendency to go down that route, the differentiating factor being that counterfeiters don't seem too keen on them, thank God. Majority of the Saffiano's and Boston bags you see around are more than likely original. So they might be plentiful but I doubt they can be abused unlike poor Louis Vuitton Alma. Another phrase I absolutely abhor. So I've had a wedding every Saturday this month so far, more to come before the end of 2012, I'm exhausted just at the thought of it. If these were not all close, personal friends I'd be hibernating at home, phones off so I don't have to spend the day getting dressed and battling bridal traffic. So my friend Deke got hitched this past Saturday. Anohter oooold friend I've known for almost 2 decades. We met at Vivian Fowler, transferred at the same time to New Jack City aka Queen's College and met up again in Law School so I definitely couldn't miss this one. I arrived a bit late though because Lekki Expressway is the 7th circle of hell and I missed being able to get a photo of her in her wedding dress but I caught up with her when she changed into her 2nd dress. This was the first time I'd seen a bride wear a coloured reception dress. They usually all stick to white, cream, gold or silver but Deke did purple and it was glorious. My humble self went for tried and tested in Virgos Lounge. I am very conflicted with the photo below. It was the only picture I had that showed the slit in the dress, but I wasn't very comfortable with the way I looked in it. Sort of what Daisy-Mak would call a "douchebag photo", taking oneself waayyyy too serious. You know...what serious "bloggers" do. But maaann, no time...no time at all. Ahh here's a photo of the couple. Nothing quite like a good looking couple, there don't seem to be a lot of those these days, but these two will definitely contribute equally to a future beautiful baby's gene pool. No fear of an unfortunate looking spouse mudding these conception waters. As usual, with every event in Lagos, babes were out to do damage. I looooove the fashion in Lagos, I love that people are always dressed up and take care with their appearance and always look banging. Nothing wrong with being ambivalent to fashion but secretly, I'd love you a little bit more if you gave me life on a daily. Until next Saturday gorgeous people, I'll be reporting live from my QC bff, Bukky B's wedding.